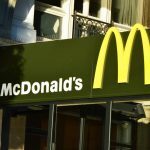 Switzerland has world’s priciest Big Macs. So eat Swiss chocolate instead. You are here: Home / News & features / Business & Economy / Switzerland has world’s priciest Big Macs. So eat Swiss chocolate instead. 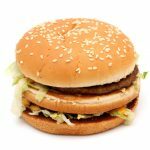 The Economist invented the Big Mac index in 1986 as a tongue-in-cheek guide to currency valuations. Because the well-known burger is the same throughout much of the world, the magazine thought it could be used as a measure of how over or undervalued a currency was. An overpriced burger suggests an overvalued currency and a cheap one an undervalued currency. 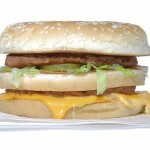 As it did last year, Switzerland topped the chart this year with the world’s most expensive Big Macs. At US$ 6.59 (CHF 6.50) the Swiss price for the double layered burger far outstripped second placed Norway (US$ 5.51). In the US the triple-bunned meal cost US$ 5.04, and in the Ukraine, the cheapest place, it cost only US$1.57. What does this mean? It suggests the Swiss franc is 30.8% overvalued. A key criticism of the index is that it ignores the higher cost of labour in richer countries. To correct for this the Economist has created an adjusted index, which calculates Big Mac prices relative to average national incomes (GDP per person). Rich countries pay workers more, so Big Macs should cost more there. After making this adjustment, Switzerland loses its top spot to Brazil where the US$ 4.78 burger overvalues the Brazilian Real by 54.2%. On this measure the Swiss franc is only 8.7% overvalued. If this logic works for Big Macs then it ought to work for other products. Instead of Big Macs we looked at a Swiss branded product: Lindt chocolate. A 100g bar of Lindt Excellence chocolate with 70% cocoa costs US$ 2.92 at Walmart in New York – US$ 2.68 + sales tax. At Coop in Switzerland the same bar costs US$ 2.89 (CHF 2.85). On a raw measure, chocolate prices suggest Switzerland’s currency is 1.1% undervalued, a far cry from the 30.8% over valuation suggested by the unadjusted Big Mac index. If we look at the price of the same Swiss chocolate in another country, Hong Kong, the shift is even more dramatic. The unadjusted Big Mac index suggests Hong Kong’s currency is 50.9% undervalued. When using chocolate, its currency shifts from appearing 50.9% undervalued to 58.6% overvalued. The same bar in Hong Kong costs US$ 4.64 (HK$ 35.90) at the Wellcome and ParknShop supermarkets. It seems value is hard to measure. High quality chocolate, an everyday product in Switzerland, is a luxury in Hong Kong. And in Hong Kong, Big Macs have to compete with a lot of very tasty local fast food. The relative value of products often requires more than a comparison of sometimes incomparable local prices. Context also matters. The same could probably be said of currencies. Is Switzerland the world’s most expensive country? It is for Big Macs. Dear sir, you are missing one critical feature with Big Mac. To compare under/overvaluation of a currency you want to use a product that is similar around the world, is available around the world and is manufactured with local material or at least as high level as possible with local material and only limited amount of imported material. Your chocolate example unfortunately does not pass the local material text… Imported chocolate from Switzerland represent swiss cost of labor and Swiss cost of material, not the receiving country cost to manufacture a bar of chocolate. This is very true and the objective of any attempt to compare currency values. It is also true that chocolate is often made in one place and shipped worldwide. However using only local ingredients will capture other differences such as local comparative advantages in producing certain things as much as real exchange rate differences. For example it’s cheaper to produce beef in the US than in Switzerland, not so much because of a stronger currency but because it costs less to raise cows on the wide open spaces in Texas than on a small mountainous plot in the Swiss Alps. In addition, it is unlikely the Big Mac is made entirely from local ingredients in many of the locations listed. Hong Kong and Singapore have very few cows for example, and in India the Big Mac is replaced with a chicken Maharaja burger. The value of an item is also determined by its perceived value in its local context, something that is hard to capture. 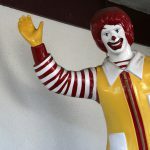 For example it would be hard for many to buy a Big Mac after strolling through a hawkers’ market in Singapore and seeing the tasty low cost fare on offer. Using chocolate is an attempt to highlight this element which is largely missing from the Big Mac index. In the end both Big Mac and chocolate price comparisons are poor guides to currency valuations.